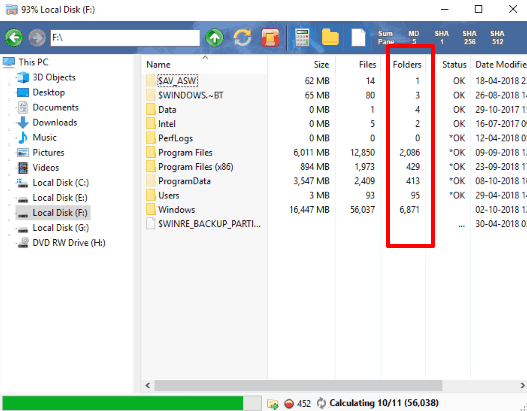 This article covers how to count number of sub-folders in a folder in Windows 10. You will be able to count all the sub-folders (including folders present in sub-folders) of a parent folder. If you are curious how many sub-folders are there is a specific folder of your music collection, or any other types of collections, then this tutorial is gonna help you a lot. 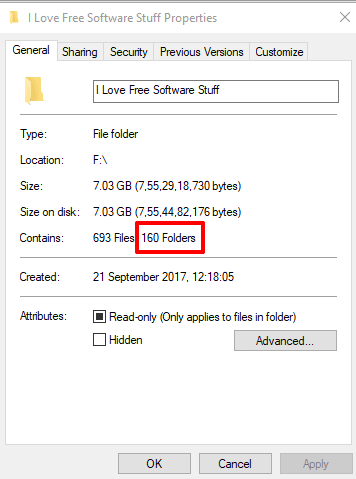 To see number of sub-folders in a particular folder on your Windows 10 PC, I have covered a native feature and two free software. The software covered here are also handy to check disk space usage. 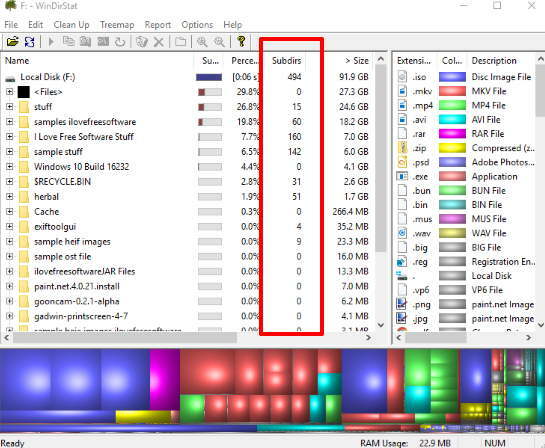 Moreover, you can also check disk space usage by file extension, view number of files in a folder, etc. Let’s check these free options to check how many sub-folders are available in a particular folder on your Windows 10 PC. This method is easier than any other methods. The good thing is you don’t have to install some other software, app, tool, etc., to count number of sub-folders in a folder. It’s a built-in feature of Windows 10. Step 1: Go to the folder location whose sub-folders you want to count. 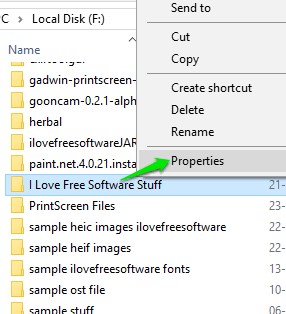 Step 2: After doing that, right-click on that folder and then select “Properties” option. Step 3: In Properties window, you will be able to see the number of folders (or I say sub-folders), files, and size of main folder. WinDirStat is one of the best options to check number of sub-folders present in a particular folder. It has an advantage over the built-in option of Windows 10, which is why it is a very good choice. While native feature lets you view number of sub-folders of one particular folder at a time, this software shows the list of parent folders, and for each folder it shows the number of sub-folders in a separate column. You can see the same is highlighted in the above screenshot. This software is not just limited to count number of sub-folders of multiple folders at a time. Instead, it is a feature rich disk space analyzer. It also lets you check the total number of files present in a folder, see disk usage by file extension, and more. Folder Size Explorer software is another fantastic option to check total number of sub-folders in a specific folder on Windows 10 PC. Its homepage link is here. This software is also a competitor to WinDirStat software. You can check number of sub-folders in different folders at a time. It also lets you analyze disk space and provide many other features. Using this software, you can check the number of files available in a folder, calculate hash of any file, use the summary pane to check file size by extension, export file and folder details as CSV, empty recycle bin after specified days, and more. Here is its separate review. While built-in feature of Windows 10 is pretty good to count number of sub-folders in a folder, the third-party software have their own benefits. For example, using such software (as covered in this tutorial), you can count number of files, check disk space, calculate hash, etc. All these options are good. Still, my favorite is the native feature.